Confederation House, the center for ethnic music and poetry, is a Jerusalem cultural institution of long standing that emphasizes innovation and activities in the fields of ethnic music and poetry in Israel and abroad. The house also promotes the cultural activity of Ethiopian immigrants in Israel. In the two past decades Confederation House has been led by Effie Benaya, its general and artistic director, who has made it into one of the most influential institutions on the Israeli music scene. Benaya, who puts an emphasis on professionalism, creativity, pluralism and innovation, developed a tradition at Confederation House that includes international ethnic music and Israeli contemporary poetry festivals. These festivals have become major cultural events in Israel and abroad. Benaya also expanded the areas of Confederation House activity: founding an original and vibrant Israeli-Ethiopian theater company; fostering unique musical ensembles created at Confederation House that then became independent and successful; and promoting a series of events and performances that showcase key voices in the world of Israeli poetry. Over the past 20 years Confederation House, which is located on the seamline between east and west Jerusalem, has become a vibrant cultural crossroads, both active and attentive, serving as a meeting place for a variety of communities in Jerusalem in particular and Israel in general—Jews and Arabs, secular and religious, veteran Israelis and new immigrants, young and old, locals and tourists. Confederation House was founded in 1984 in a historic stone building that has served a variety of functions through its history: in the 5th century CE it was a home for the aged; in the 7th century, a Christian monastery; it later became a farmstead and eventually, was acquired by the Greek Orthodox Church. In a source dated 1863, the building is described as the home of a Muslim family that rented it from the Greek Orthodox Church some 140 years earlier. There, for a small fee, the owners permited Christians to enter to observe a variety of miracles, including the chain of St. George (a 3rd century Christian saint who, legend has it, slew a dragon to save the life of a princess), to which any insane person chained would be cured in three days. Today, the building contains restored portions of the 19th century dwelling as well as contemporary additions and functions as a performance hall with access for the handicapped. The miraculous chain is no longer there, but many individuals obsessed by a love of music, theater and poetry regard it as their cultural home. Confederation House produces tens of events and performances a year in the fields of ethnic music, poetry and theater. Confederation House hosts tens of musical performances of diverse ethnic groups, genres and styles, with a special emphasis on ethnic and world music and original fusion between East and West and new and old. The house also holds unique poetry evenings, presentations of new volumes of poetry and journals and series of encounters on diverse themes. Another focus of house activity is promoting the culture of Ethiopian immigrants to Israel. Confederation House operates the Israeli-Ethiopian Hullegeb Theater Ensemble and the Israeli-Ethiopian Tezeta (meaning “longings” in Amharic) group, founded at the initiative of house artistic director Effie Benaya. The house also holds the Hullegeb Festival of Israeli-Ethiopian Culture annually. The jewels in the crown of Confederation House are the annual festivals that the house has been producing since the beginning of this millennium. In autumn Confederation House holds the International Oud Festival, which presents the richness of Arab musical culture in all its forms and its interactions with other cultures and particularly with the cultures of Middle Eastern and North African Jewry. Every year the Festival hosts Israeli and foreign ensembles in unique productions, many of whose artists appear in Israel for the first time in the festival framework. Festival events are held at Confederation House and in various halls around Jerusalem. In the winter Confederation House holds the Hullegeb Festival of Israeli-Ethiopian Culture, which presents the best of Ethiopian music, dance and theater in Israel. Israeli ensembles participate alongside great artists from Ethiopia and elsewhere. 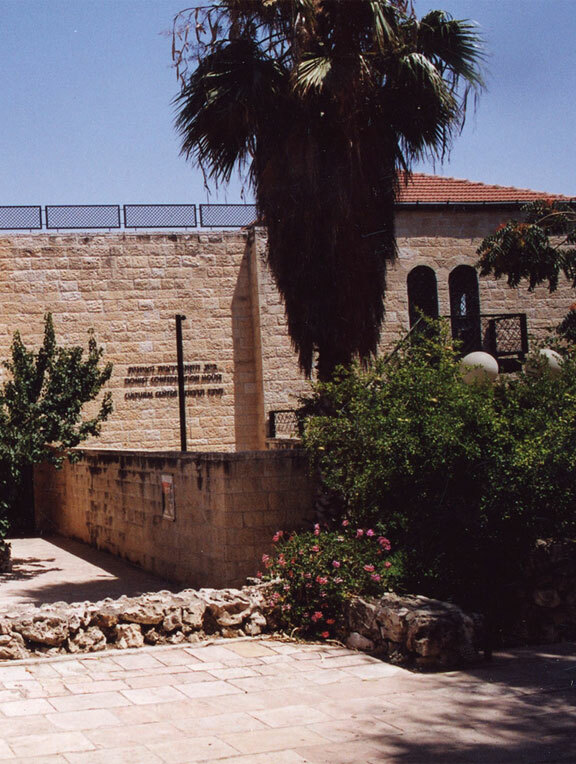 In the summer Confederation House presents the Poets’ Festival in Metula, which has long been one of Israel’s most significant cultural events. Each year the festival focuses upon a specific topic of importance in Israeli poetry, hosts tens of poets from all segments of the population and holds tens of poetry evenings, varied performances and heated discussions. Israel’s most important prize for poetry, the Teva Prize, is awarded to a selected poet during the course of the festival. Since it began to operate as a cultural center, Confederation House has constantly grown and innovated. Ethnic music ensembles have taken their first steps here while enjoying professional guidance. Poetry journals and new books of poetry hold their festive presentations here. Unique projects emerge and develop here frequently—ranging from evening series devoted to key topics in literature and poetry, to special events related to significant Israeli cultural events, and intimate, in-depth explorations of heritage by artists and musical ensembles. The three festivals produced by Confederation House have grown from year to year, developing new topics, voices and sounds, and hosting artists of the highest caliber from different fields. The Hullegeb project, which promotes, produces and hosts the finest artists from the Ethiopian community in Israel in the fields of theater, music and dance, is constantly expanding. From year to year the audience that visits the house has also grown. Artistic contacts between the house and artists and musical groups around the world participating in its various festivals are spreading and gaining strength. From year to year Confederation House holds an ever more important place on Israel’s cultural map and receives considerable international attention. The primary aim of Confederation House is to develop cultural pluralism, tolerance and solidarity in Israeli society. We believe in the power of culture to create bridges of dialogue, trust, intellectual curiosity and brotherhood between individuals who are separated and even enemies. We believe that the more varied, rich, complex and innovative our cultural world, the more generous, tolerant and perceptive people become. These values are our watchwords and we are proud of the wonderful opportunity we have been given to light up our country and our world. *In accordance with the Equal Rights for Persons with Disabilities Law of 1998 and its provisions, information concerning events taking place at Confederation House and arrangements for providing access to the disabled are available by phone: 02-6245206, or via email: [email protected], or via other channels, as set forth in the regulations. Several adjustments to provide accessibility have been made at the site including parking for the handicapped, an amplification system for the hearing impaired at events held in Confederation House halls, and appropriate signing.